Easy to Install, Easy to Track, Easy to Locate! The AMEC AIS Tracking Beacon (TB560) is a simplified “AIS Class B” device that offers efficient and cost effective vessel tracking solution. The AMEC AIS Tracking Beacon (TB560) is a simplified “AIS Class B” device that offers efficient and cost effective vessel tracking solution. With this device installed onboard, the port authorities and or vessel owners can locate, identify, and/or monitor vessels within the AIS VHF transmission range. The device is activated when it´s mounted into a dedicated bracket. The unit’s temper proof feature intelligently prevents unauthorized transferring between vessels. 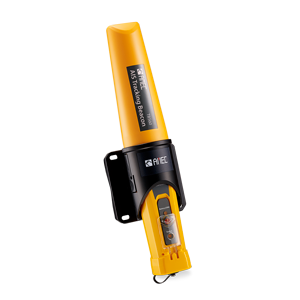 TB560 uses rechargeable battery and can operate up to five (5) working days. The device has built-in VHF and GPS antennas and can transmit SRM in case of emergency. TB560 is compact, lightweight, robust and easy to install even for smaller vessels without onboard power supply. A wide range of optional functions are available for users to make the product fit for individual application.